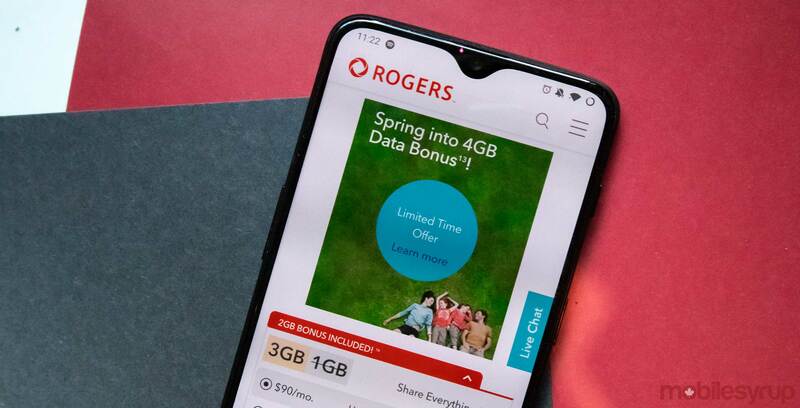 Rogers is offering a new batch of cellular plans with bonus data as part of its ‘Spring into 4GB Data Bonus’ sale. Notably, all the plans between $100 and $415 get an additional 4GB of data. Rogers has two cheaper plans priced at $90 and $95 respectively, though hese plans only get 2GB of bonus data. All of prices prices are for no term contracts. Getting one of these plans with a contract increases the cost. All of the plans come with call display, voicemail, call waiting, group calling, 2500 call forwarding minutes, ‘Roam like Home’ and an overage data rate of $10 for 100MB. If you’re using one of these plans as a ‘Share Everything Plan,’ then you can get another 3GB of bonus data. That said, adding a line to these plans costs an extra $50 per pay period without a contract.